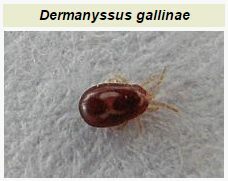 This is a magnified picture of a blood sucking bug called a Red Poultry Mite. They go red after having gorged themselves on chicken blood. Their life-cycle is only 7 days so, when conditions are just right, they can quickly cause an infestation – and one that is remarkably difficult to eradicate! But if it is not dealt with then chicken coop productivity will plummet. We use the term “bug” for something else … a design error … in a computer program for example. If the conditions are just right, then software bugs can spread too and can infest a computer system. They feed on the hardware resources – slurping up processor time and memory space until the whole system slows to a crawl. And one especially pernicious type of system design error is called an Error of Omission. These are the things we do not do that would prevent the bloodsucking bugs from breeding and spreading. In the world of health care improvement there are some blood suckers out there, ones who home in on a susceptible host looking for a safe place to establish a colony. They are masters of the art of mimicry. They look like and sound like something they are not … they claim to be symbiotic whereas in reality they are parasitic. The clue to their true nature is that their impact does not match their intent … but by the time that gap is apparent they are entrenched and their spores have already spread. Unlike the Red Poultry Mites, we do not want to eradicate them … we need to educate them. They only behave like parasites because they are missing a few essential bits of software. And once those upgrades are installed they can achieve their potential and become symbiotic.